If severe tooth pain dominates your life and you live near Round Lake Beach, Illinois, visit Dr. Dave Canty at Rollins Family Dental Center to see if you’re a candidate for root canal therapy. The compassionate staff makes this routine procedure as comfortable as possible so you can finally get relief from your persistent toothache. Call for an appointment or book online to learn how important it is to remove infected root tissue early. Root canal therapy, also called endodontic therapy, is the removal of inflamed or infected pulp causing pain in your tooth’s root. However, this treatment doesn't just restore comfort to your mouth. The dentists at Rollins Family Dental Center usually prescribe root canal therapy to save your tooth and prevent the infection from spreading to other areas. What Causes the Need for Root Canals? If left untreated, your face or neck may swell and cause further complications, so it’s important to seek treatment early. 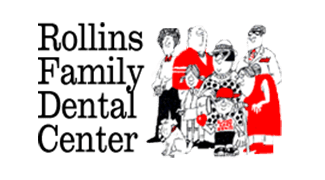 First, the experienced staff at Rollins Family Dental Center need to make a diagnosis. To pinpoint inflamed or infected tooth pulp, they typically take X-rays to identify decayed or abscessed teeth. Then you receive local anesthesia to desensitize the area, so you don’t have to worry about pain. There’s nothing to fear, especially if your nerve no longer functions. They keep your treatment tooth clean by placing a rubber dam around the tooth, making it easier to isolate and disinfect. To extract the damaged pulp, they carefully insert a series of precise tools. After removing all the inflamed and infected tissue, they thoroughly wash the canals. Your dental provider might administer medication before filling and sealing the hole. They sometimes also recommend a dental crown after root canal therapy for the strongest, highest performing, and most natural-looking result. Do Root Canals Deserve Their Reputation? These days, root canal treatment is much more comfortable than you may expect. The latest tools and methods for root canal therapy make it as easy and comfortable as most other dental fillings and crown services. Today, the only real concern you should have when it comes to root canal pain is delaying or avoiding treatment, so call for an appointment or book one online now.